Economic Correspondent: Customers of Walton brand air-conditioners are likely to get one year equivalent electricity bill as free through registering their ACs just after the purchase from any Walton Plaza or distributors’ outlets across the country. 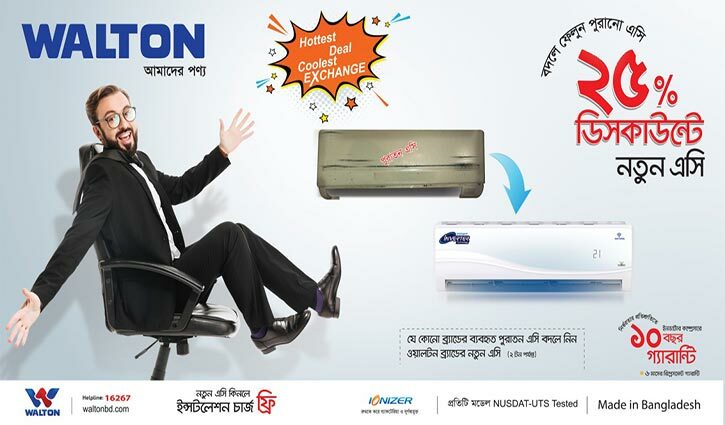 In addition, customers can purchase Walton brand new ACs at 25 percent discount through exchanging any brand’s used ACs. 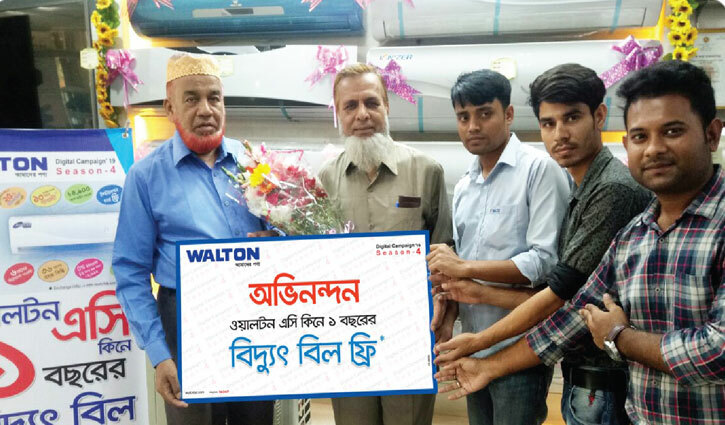 The customer, who want to enjoy the offer, have to submit the old or used air conditioner of any brand to any Walton Plaza or branded outlet and then he/she will get 25 percent discount from the regular sales price of Walton AC that he/she wants to buy in exchange of. Uday Hakim, executive director of Walton Group, said that they added world’s latest technologies in their ACs like inverter, ionizer and IoT based smart technologies. 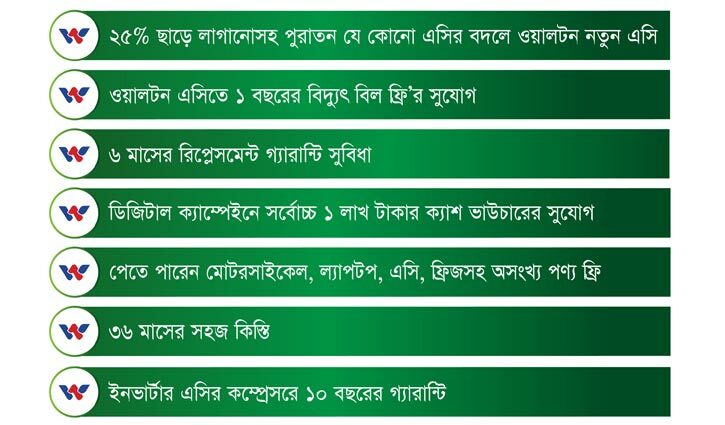 Walton is greatly confident on the highest quality and long-lasting of the compressors that are used in their inverter AC and thus they announced 10 years guarantee on the compressors of inverter ACs. 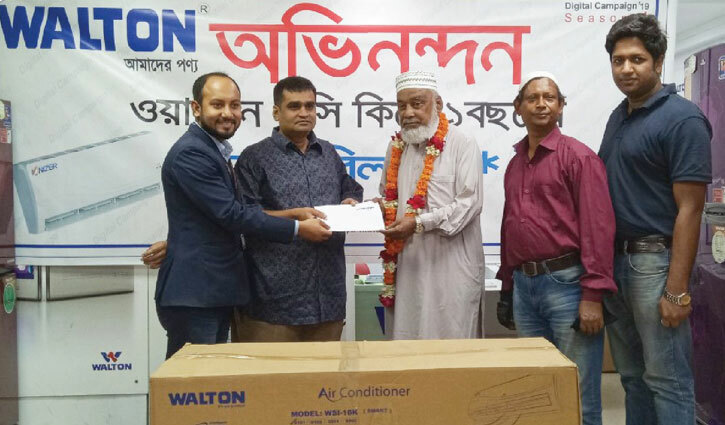 Ishaque Rony, Chief Operating Officer of Walton Air Conditioner, said: Walton is the first company that has introduced IOT-based smart ACs in Bangladesh which are controllable using mobile phones. Users can easily know various information about Walton smart ACs including the monthly electric bill, low or high voltage, overload on compressor etc. The inclusion of Ionizer technology in Walton ACs keeps the room dirt and bacteria free along with cooling. The Smart and Inverter ACs of Walton save up to 60 percent electricity. The Turbomood of the compressor of Inverter ACs cools the room reducing its temperature quickly. In this technology, the speed of the compressor is controlled according to the temperature of the room through special programming of microprocessor installed on the PCB or motherboard of the compressor. World’s recognized environmental-friendly HFC free R410A refrigerant is used on Walton ACs. Rust-resistant Golden Fin Color Technology is being used in condensers of Walton ACs which ensures the longevity of the cooling product. Besides, accurate BTU and six-month replacement guarantee lead Walton ACs to secure the top choice of customers.